Are you passionate about golf and would you like to enjoy pleasant days in a golf club nestled in a Mediterranean landscape? 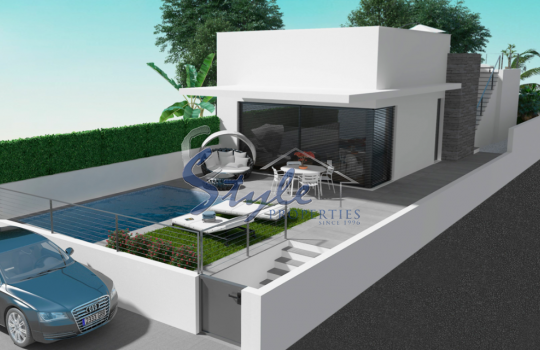 Contact us and we will offer you our New Build Villas for sale in Villamartín Spain. On the Costa Blanca South is the Villamartin urbanization. It is located in the area called Orihuela Costa, south of the city of Alicante and almost bordering Murcia. In its surroundings we find tourist centers of the relevance of Torrevieja, La Zenia or Cabo Roig, where we will enjoy beautiful beaches of golden and soft sands. Villamartin is not exactly on the beach. It is located at a distance of approximately two kilometers from the coast. This proximity to the coast makes it an ideal place to live away from the hustle and bustle of large towns and enjoy the nature and tranquility of a sunny environment. Golf enthusiasts have the Villamartin Golf Club, which gives the name to this exclusive urbanization, as well as other eighteen hole golf courses built in the area such as the Real Club de Golf de Campoamor. 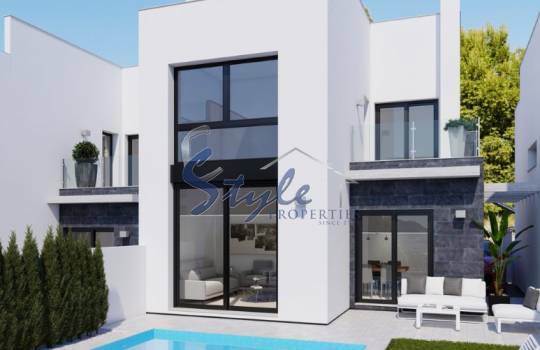 If you are a golf enthusiast, your ideal dream will be to acquire one of our New Build Villas for sale in Villamartín Spain because it has a golf course, but living in Villamartín means much more. The wonderful temperatures that are enjoyed in Villamartin at any time of the year, as well as the lack of rain, are essential requirements to enjoy your favorite outdoor sport. On the other hand, the proximity to the sea softens the hot summers thanks to its refreshing sea breeze. You will not have to give up having fun in the unbeatable beaches of the Costa Blanca if you live in Villamartin. 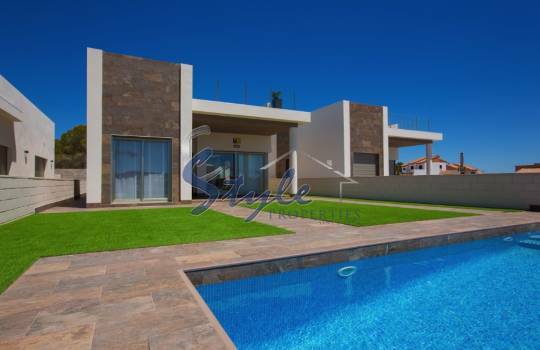 We offer you new construction villas for sale in Villamartin Spain where you will live in a relaxed and healthy way. 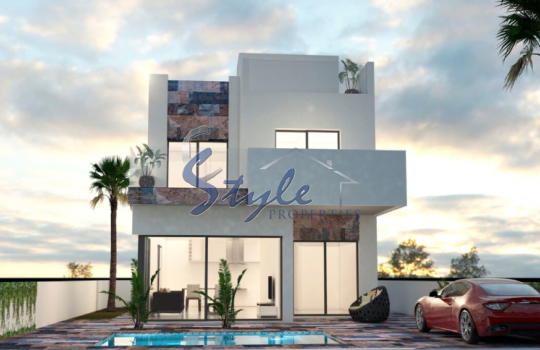 Our villas are designed with a modern and modern style, where the construction materials are combined to offer large windows that allow the entrance of sunlight to all rooms. 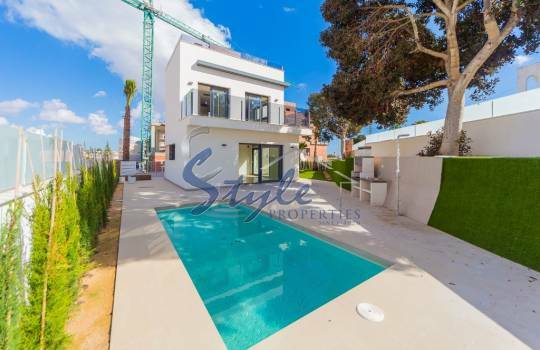 Enjoy a cozy and homely atmosphere in your new home on the Costa Blanca. 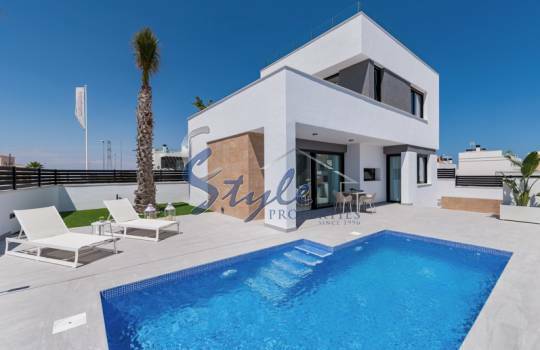 We have several types of New Build Villas for sale in Villamartín Spain. 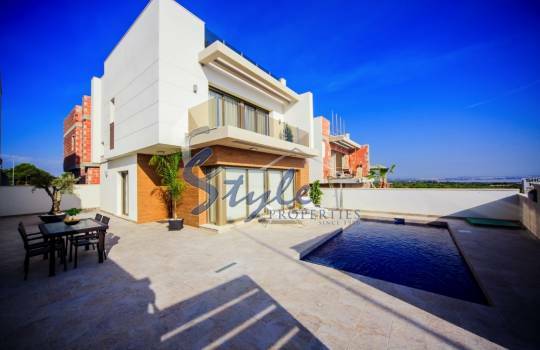 Visit our website and you will see that each home offers an extensive photo gallery and a brief description of its main features. Ask us any questions you have about it. We will be happy to expand all the information you need. Our real estate agents are local experts who know perfectly the surroundings and all the services that it offers you. We are waiting for you at our offices located on Calle Escorpiones - Punta Prima - "Punta Marina" Shopping Center, 1 floor, 13 - 03185 TORREVIEJA (Alicante).